One day I went to the large office supply store before school started, because that's what I always did. But, as I wandered the aisles I realized I didn't need much. With a laptop for every student, the things I used to buy to manage paper were no longer critical. I wouldn't be buying all the spiral notebooks I could get my hands on because now my students do that work in a Google Doc. (See One Google Doc All Year Long.) I wouldn't need binders to organize curriculum materials, because now they are shared with my team in Google Drive. No more staples, clips, folders, file boxes or dividers. I treated myself to a new box of my favorite Mr. Sketch scented markers, and left. 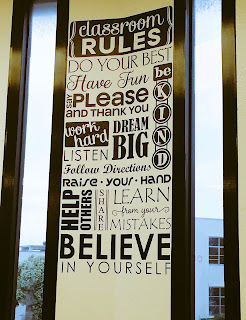 Oh, I still spend my own money on my classroom, mostly for books, but I have a few other favorite classroom items that I thought I would share with you. 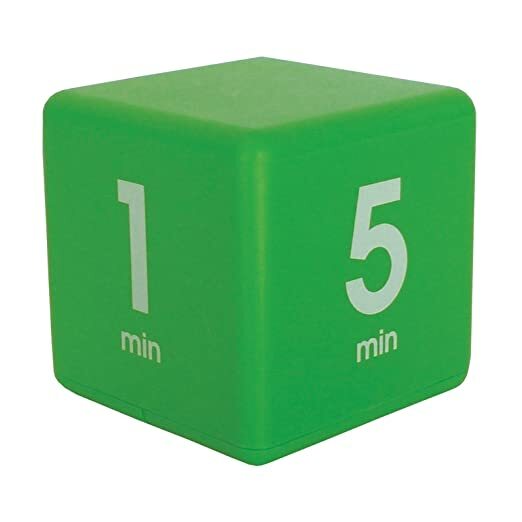 I love this cube timer. I just turn up the side marked with the time we need, and it starts counting down. It's great for timing quick writes, group conversations, and even keeping me from droning on too long. So much faster than picking numbers to set a time. Teacher tip: I give students less time than they will need, especially for group work. If I think something will take them about 20 minutes I'll say, "I'm going to set the timer for ten minutes. If you use that time really well then we can set it for another ten minutes." I find this really effective for helping students get started faster, and often they finish sooner than I thought they would. Theses are great for cleaning the whiteboards. They come in a lot of colors, so you can pick one that fits your design aesthetic. 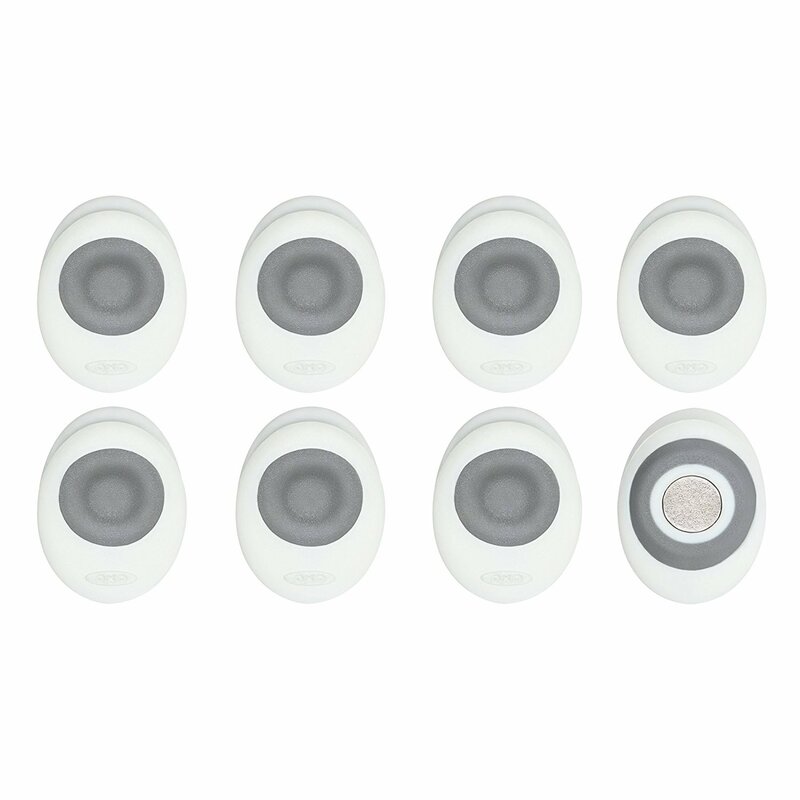 I use the tiny magnet clips (below) to clip them to the whiteboard. When they get dirty I take them home and wash them. I think this is a more sustainable option than the styrofoam cube erasers our school provides. They work better too. These were a definite upgrade from the rusty metal magnet clips I had been using for 20 years. They are super strong and easily clip my microfiber cloths to the whiteboard or any other magnetic surface. I often regroup my students for instructional reasons. Some days we need heterogeneous groups, some days we need homogeneous groups, some days we need specific pairs, etc. I use this Group Creator Sheet to determine how to group them, but it is the cones on the tables that tell students where they need to sit. I've had the same set for three years, so they hold up pretty well. I've had to add tape to hold a few together, so I think this year it might be time to spring for a new set. I didn't buy this for myself. I put it on my Christmas list and someone loves me very much. I thought I wanted it for presenting at conferences, but it has been wonderful in the classroom. I don't teach from slides often, but when I do, this clicker gets me out in the room and not tied to the board. My favorite feature (besides the spotlight) is the ability to designate the bottom button as a scroll. I can stand in the back of my classroom and scroll down on web pages. I can use the top button to spotlight something or even zoom in! It is really more of a remote mouse than a clicker. And it has a rechargeable battery. Just 60 seconds is enough to charge it for hours of use. Much more reliable than the older clicker I had before. If you get it, I also highly recommend the custom case. I can't believe I almost forgot this. A colleague was just admiring it in my room the other day, and I realized I needed to add it to this post. I've actually bought this twice. The picture is from my old classroom where this fit perfectly between the only two windows we had. In my "new" classroom I ordered another one and it looks great on a grey door. It is important to allow yourself plenty of time to apply it, and make sure to put it on a smooth surface. Once you apply this each letter becomes it's own sticker, so you won't be moving it. I also suggest putting it up high or in a low traffic spot, or the letters may begin to disappear. My classroom includes a cart of laptops, but my students were not able to get the cords plugged in correctly because they all looked the same. 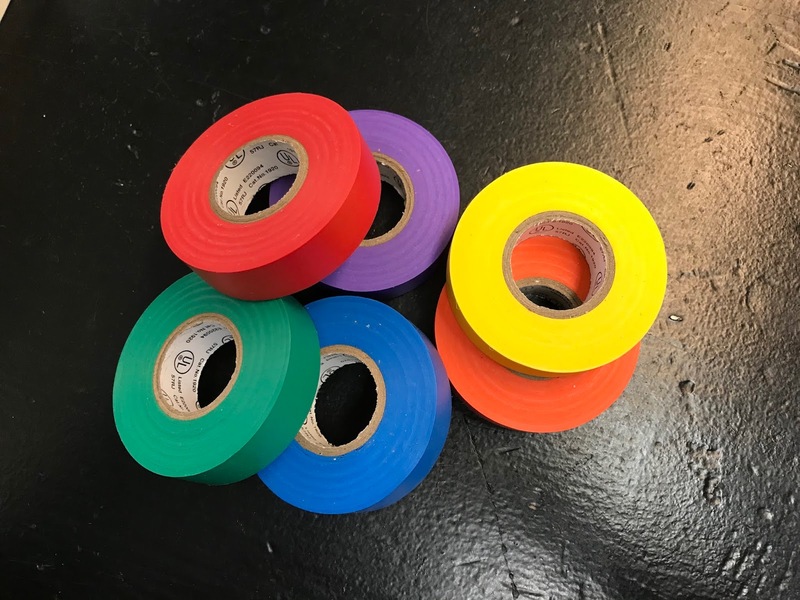 Then came rainbow electrical tape. it took me about 15 minutes to wrap the end of each cord in a different color and now it is so much easier to get all the computers plugged in correctly at the end of the day. These are a few of the things that make my teacher life happier and more efficient. 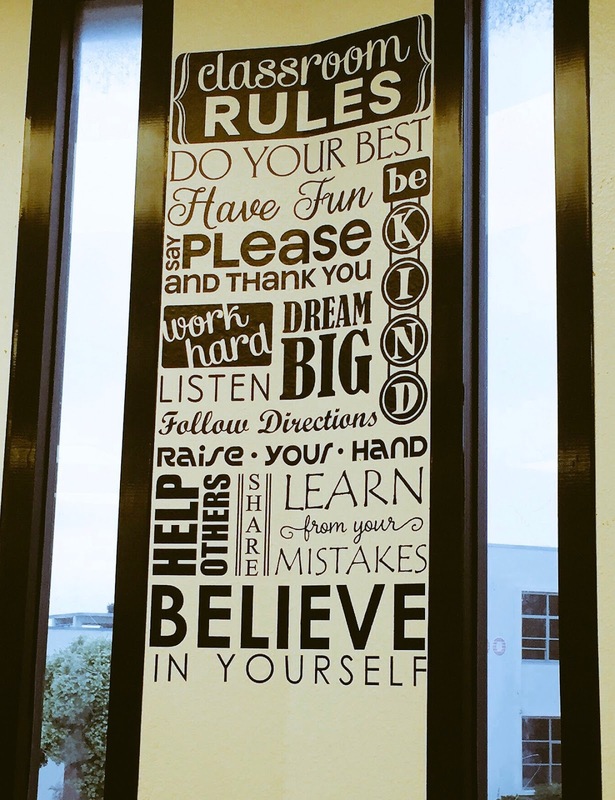 What are your classroom must-haves? What have you discovered that you would buy again or recommend to others?